Become a preferred customer. Happy Easter! Handmade Soap and More! Try Lotion Lady® Handmade Soap. This handcrafted soap is created by the cold-process method in small batches. After mixing at precise temperatures, the soap is poured into wooden molds and allowed to saponify. Read how handmade soap works. See why the cold-process method for making handmade soap should not be confused with melt-and-pour glycerin soap. The high quality coconut, palm kernel and olive oils and shea butter used in Lotion Lady® handmade soap have a high melting point so they don't just disappear as so many other handcrafted soaps. Handmade soap is even great for shaving! My handmade soap comes in a variety of scents. There's Lavender, Sandalwood, Gardenia, Vanilla, Patchouli and many more. I am now using Shea Butter for superfatting all my handcrafted soap except Tea Tree Calendula which is superfatted with Calendula Oil. Each bar of handmade soap is individually wrapped in plastic to maintain freshness and to keep other scents from mixing. This handmade soap lathers up nicely, too. Try Great Handmade Soap Scents Now with Shea Butter! *Scent also available as a body oil. Save! Choose 3 for $17.25! Get some chemicals out of your life and try my new underarm deodorant. I offer it as lightly scented with lavender or completely unscented. Either way, I think you're really going to like it. The handmade soap and other skin products are made from natural ingredients. It's not just what's in the skin care products, but what is not in them. There is no alcohol added to any Lotion Lady® handmade soap or skin care product. There is no mineral oil in the body oils. There are no animal products or testing in the handmade soap or any other Lotion Lady® skin care item. The Original Lotion is the best there is and is now made with avocado oil. Extreme Cream™ is a more concentrated version of the lotion. It has aloe vera instead of purified water. Both the lotion and the cream are virtually unscented. Men love that. Women love it too, because they don't have to worry about conflicting scents and both also are available in an absolutely unscented version. Four of your favorite Lotion Lady® products in the perfect size for travel. Two ounce containers in a transparent zip-seal bag that is so important for air travel today. Plus a full size bar of handmade soap. 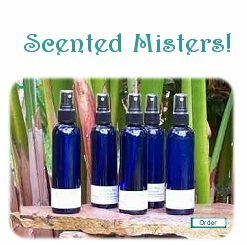 Try my scented Misters. They're great for a quick refreshing spray of your favorite scents. The 4oz plastic bottles are small enough to carry with you everywhere. (check out my Calendula & Tea Tree Oil) or just want to bathe with the best natural handmade soap and oils, you have come to the right place. Just click on a category and you're on your way. Thanks for dropping by. Don't forget these! Lavender Dryer Bags Just toss them into a dryer along with your wet laundry and your clothes and linens will come out gently scented with lavender! Handmade Soap, Lotion & More! Remember, skin care starts with handmade soap.